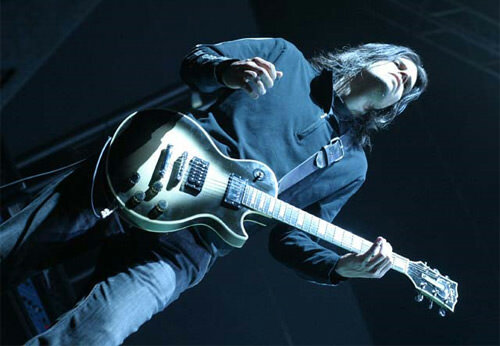 In a further update from the studio via Instagram, Adam Jones confirmed that Joe Barresi will be recording the new Tool album. Those with long memories will recall that he also recorded 10,000 Days. Final Tool rehearsal prior to recording new album? Another visitor from the Loft today, this time British rapper Heitham Al-Sayed from the band Senser, who claims that this is the last rehearsal prior to recording. All signs seem to be pointing to Tool reaching conclusion on their next album. It’s true! Despite rumours to the contrary, Maynard is full of love, at least for his fellow bandmates that aren’t Adam and Justin! Actually, I image Maynard enjoys their company too, and I think he has no problem with the majority of non-insufferable Tool fans as well. Maynard and Danny are pictured via Instagram below, rehearsing for the Tool show happening this weekend. Despite being “conned into it”, I expect Maynard will put on a good show, as will the rest of the band. There’s a few from Fourtheye who are attending the show, and being a festival it’s going to be much easier for them to tweet and flood social media with by the second updates on the show. Keep your eyes peeled, especially if you’re unable to enjoy the show in person. Good to see the old timers out there looking after their bodies. Nothing worse than hearing our senior citizens complain about aching bones and then doing nothing about it! Adam’s strings, Maynard Puscifer update and more! As usual a bunch of things happened while I was away for a few days, so this post is a catch up of sorts. As yet there’s no real indication of what is going on in the studio. They’re recording something, and while there are plenty of clues suggesting they could be working on the new album, there’s just as many out there that suggest they aren’t! Something is happening, and I guess well find out in due time! 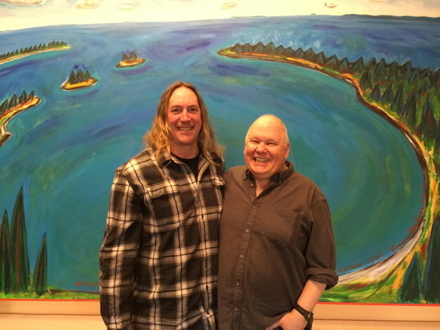 In somewhat related news Danny was recently snapped with Bob Ludwig, who mastered 10,000 Days for Tool. What Danny there for business of pleasure? Speaking of 10,00 Days, Loudwire has an article celebrating it’s 9th anniversary, with a collection of quotes from Tool members giving insight into the recording of album. 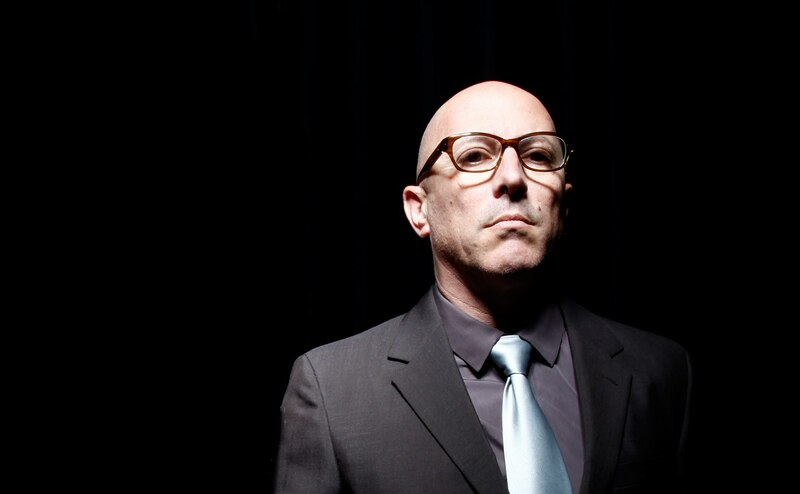 Maynard had a chat with Punch as well, mostly about wines however did reveal that a Puscifer album is on the way and should be expected “hopefully in the fall”. An interesting post on Instagram today from Adam, where he gives us a “Mid progress Cover Art for P@M”. The image itself looks kinda “Toolish” and is quite similar to another he posted a week ago. The question is – is Adam working on some kind of art for a future Tool release? Is it for the “curveball” or for the new album? Is it for a video? What the significance of “P@M”? Maybe it’s for a next U2 album?